Most of us learn from an early age that the only appropriate answer to the question “How are you doing?” or “How are you holding up?”, is to say that we are “OK”, “Fine”. The denial of any problems becomes so reflexive and automatic that many of us cannot even recognize the degree of stress that we are under, even as it is taking a toll on our bodies and our minds. When most people use the word stress, they are thinking about the emotion. They have a picture in their minds of something akin to the painting The Scream. When physiologists use the word however, they are thinking about stress hormones. They have a picture in their minds of a stress fracture or metal fatigue. When an individual experiences a major physical trauma, or their minds perceive a strong risk of personal harm, the body releases so called stress hormones, (most notably cortisol), to alter the basic operating conditions of the body. Heart rate and respiration are increased to increase the oxygen saturation of the blood. Resting muscle tension is increased to take up the slack in the tendons and provide for more rapid initiation of movement. Pupils are dilated to allow the eyes to take in a slightly larger visual field. The alert system for sound, motion, or other changes is set to a hair trigger to provide earlier warning of potential dangers. These changes can help a person survive threats in the short term, but they come at a cost. Over the long term, the effects of stress hormones take a toll on the brain and body. The higher oxygen levels and increased muscle tone cause more cellular DNA damage and result in more wear and tear on bone tendon and muscle, including the heart muscle. The higher alert level results in more frequent sleep interruptions. At the same time, resources are diverted away from routine maintenance and repair tasks. The growth rates of skin hair and nails are all decreased. Immune system surveillance for precancerous cells becomes perfunctory and the numbers of immune system cells are reduced to a skeleton staff. Prolonged exposure to high levels of stress hormones therefore increases the risk of illnesses of all types. Reduced skin thickness also causes minor bumps or scrapes to produce larger wounds. More readily noticeable by others however are the negative effects of stress hormones have on the brain of the stressed individual. High levels of stress hormones interfere with the functioning of the part of the brain which automatically calibrates the intensity of one’s emotions to match the circumstances. This often causes extreme emotional reactions to minor incidents, straining personal relationships. When soldiers return from a war zone or a trauma patient gets released from the hospital, they often exhibit a pattern of behavior that makes readjustment to their normal lives difficult. They have difficulty sleeping at night and therefore trouble concentrating the next day. They are easily distracted by any sound or movement and they are emotionally volatile, flying into a rage one minute and then sobbing apologetically the next. These changes in behavior will occur even when the person has not experienced a specific flashback worthy event, but simply a period of prolonged anxiety. Often, the person will angrily deny that they could have post-traumatic stress disorder even though the flashes of anger argue precisely for that conclusion. To help a person recognize the negative effects that stress has had, and is continuing to have, on their mental and physical health, it can often be more useful to point to the uncontestable signs of stress on their body. Repeated lingering colds are a sign of an undermanned and under resourced immune system. Multiple minor cuts and scrapes imply thinner than normal skin thickness, and when was the last time that they got their hair cut or trimmed their toenails? Sensitivity to light indicates chronically dilated pupils. Each of these changes represent predictable effects of high levels of stress hormones on the body. It is hard for someone to argue that they have not been overstressed for a long period of time when their toenails used to grow like kudzu and they had 5-O clock shadow by noon and now they can almost skip a day shaving and can’t remember the last time they cut their toenails. If the rest of their body has been affected by the stress hormones, then logically, their brain could also have been affected. 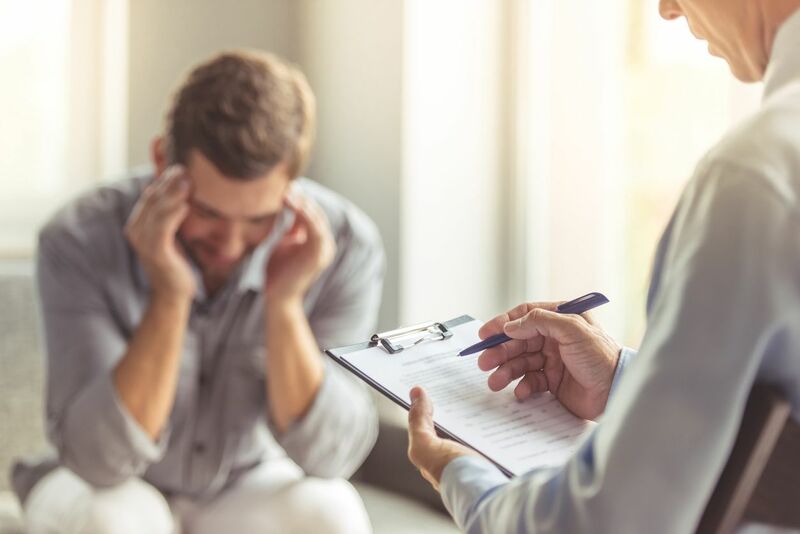 Recognizing that the emotional volatility that they have been exhibiting has a real physical cause can be the first step in controlling the problem. If the automatic calibration of their emotions is not functioning correctly, they will have to rely on manual controls. They will need to consciously rank or score the appropriate level of their emotional responses. A level 4 irritation does not call for a nuclear strike level of response. At most a dirty look is called for, not screaming, and certainly not physical violence. Over the longer term, they also need to find a way of reducing their stress levels. In the short term, this may mean accepting financial or other help from family members, nonprofit social service agencies, or governmental sources in order to improve their long-term health.